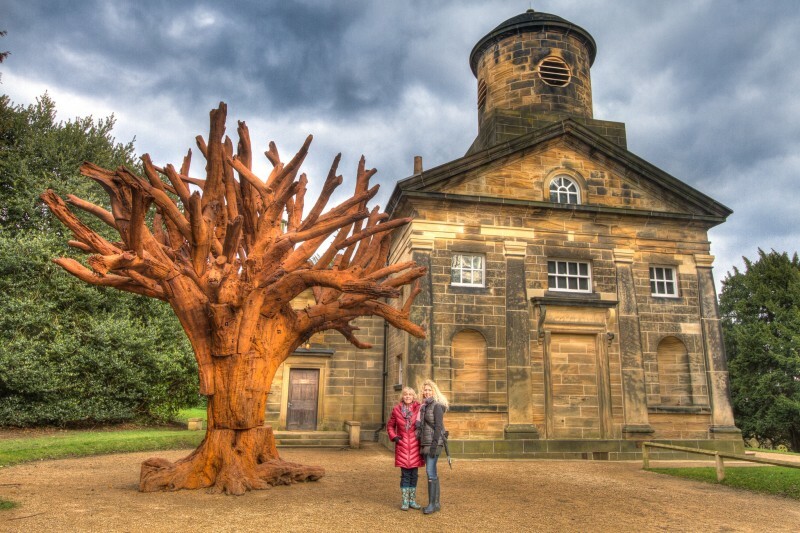 Ai Weiwei’s Iron Tree sculpture at the Yorkshire Sculpture Park is by far one of the most impressive pieces at the whole of the open air museum. It’s location seems perfect and to imagine the front of the chapel without this piece is very difficult. It would certainly be a very empty and unimpressive location without all of the benefits of this sculpture. Standing more than 22 feet tall and measuring more than 22 feet wide, “Iron Tree” is composed of 99 unique iron elements all cast from separate elements from living trees in southern China. ut in the countryside, among sycamores and laurels jewelled with bright raindrops, stands a tree of another kind entirely – not born of nature but made by many human hands. Its boughs open like gesturing arms. Its iron trunk is turning the colour of rusty lichen in the English weather, and each branch ends expressively, as if making a point. A thing of metal, it looks improbably alive.